This particular project comprised of two 13-storey blocks of flats in the Midlands. It suffered from many of the common maintenance issues associated with high rise buildings. 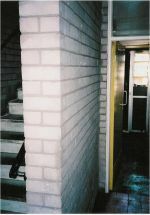 When undertaking the refurbishment of this project, our clients were confronted by two protection problems; firstly, the need to upgrade the existing internal linings to Class 0, in order to eliminate spread of flame and secondly, the need to provide these areas with ongoing protection from graffiti and vandalism problems. Bell Lane is a block of flats situated above the shops in the Tile Cross district of Birmingham. As part of the refurbishment programme for these blocks, Birmingham City Council were looking to decorate the communal staircases with a system that would be able to deal with the very evident graffiti problem on the staircases. Pictured here is a small housing scheme situated on a large estate in the Leicestershire area. The scheme began experiencing problems with graffiti earlier in the year, with the end gables of some houses being a particular target. The housing association approached Hubdean Specialist Coatings in order to identify a cost effective solution to this escalating problem. 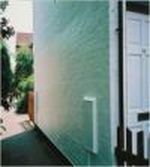 This project was part of the Rivers Estate in Trafford. Our client was looking to try and improve the internal communal areas, and decided that the fair-faced brickwork should be cleaned, and then protected to prevent the surface becoming darkened again through general pedestrian traffic.